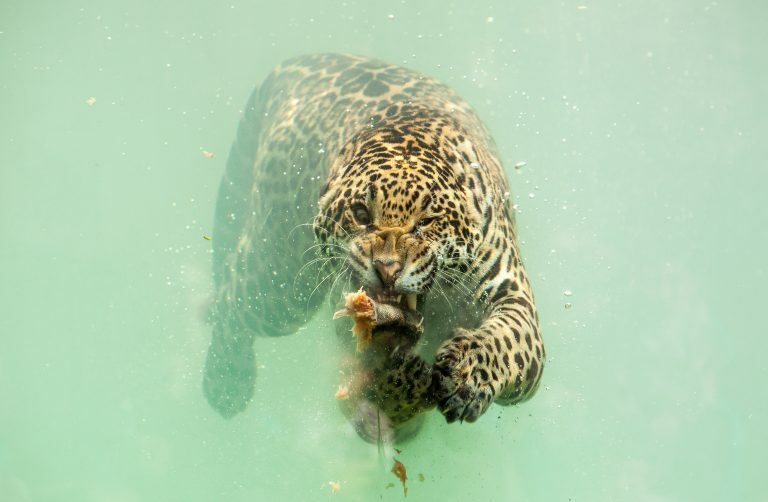 A photographer has captured the incredibly rare moment a jaguar dived underwater to catch its dinner. 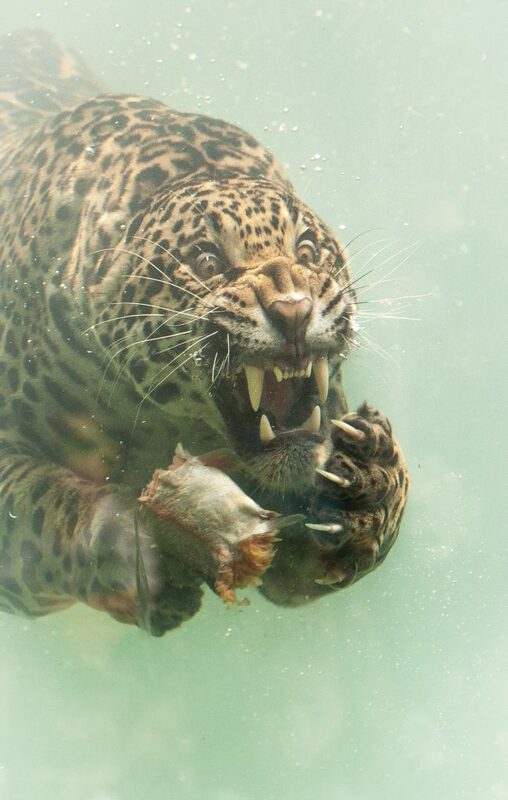 With teeth bared, claws drawn and eyes focused the stunning predator dived for fish that had been thrown into the water at the Zoo de Bordeaux Pessac in France. In another amazing shot taken by Herbert van der Beek, 43, the jaguar stares straight into the camera with its catch in its mouth. Herbert, from Almere, Netherlands, who spent a day at the zoo trying to capture the images, said: “What I like about the series of photographs is that even when it’s under water, you can see the enormous strength and agility of this powerful cat. “Eyes wide open, the jaguar swims towards his prey and uses his claws and teeth to capture it. 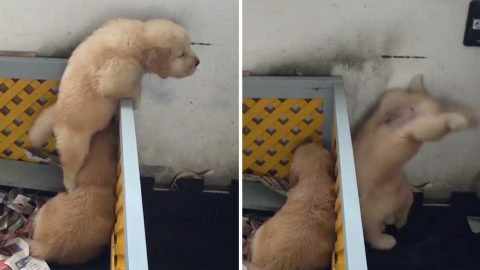 A true hunter, above and under water. “The images I shot were of one male jaguar. There were two jaguars in the enclosure, but the female cat was hesitant to go into the water. 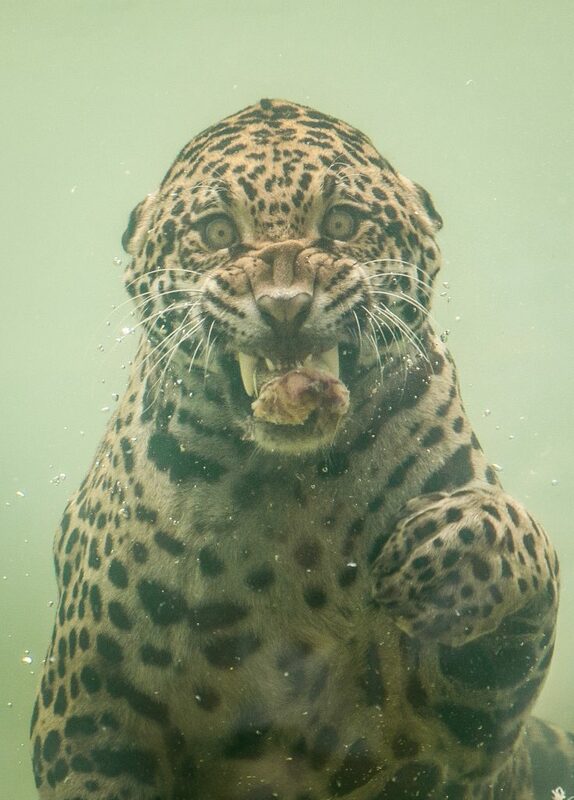 The facial expressions of this male jaguar are amazing I think. 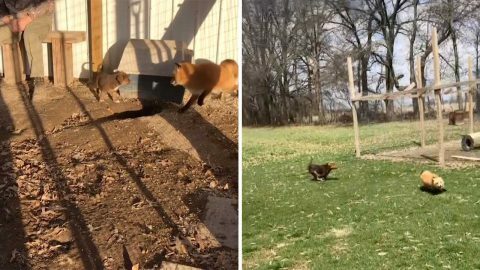 “When the animals are fed, fish is thrown into the water and the animals jump in to catch it. 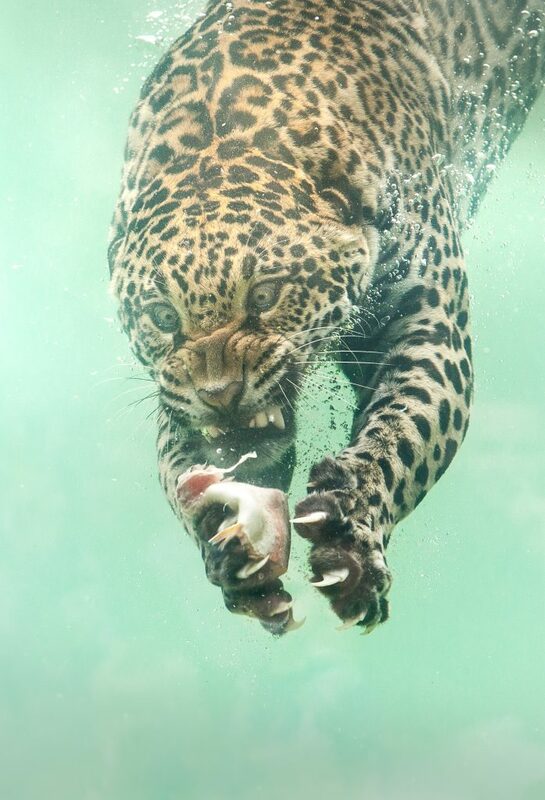 I’d travelled to Bordeaux hoping to capture an image of a jaguar catching his prey under water. 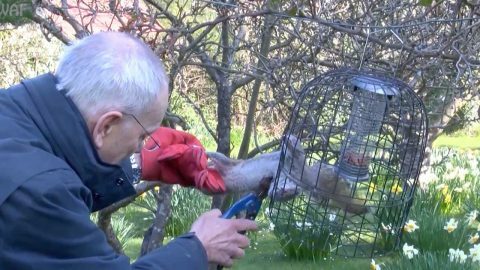 The dad-of-three said the great cats have always attracted him. Professional cameraman Herbert said: “I have travelled to India to photograph tigers and to different parts of Africa to encounter leopards and lions. “The jaguar I find a striking animal and I do hope to travel to South America one day to capture them in the wild. “Photography has always been a passion of mine, and over the past few years I have put more focus on it.